Eleanor Acer is the director of Human Rights First’s Refugee Protection program, where she oversees Human Rights First’s research and advocacy relating to refugee protection, asylum, and migrants’ rights. Eleanor advocates, speaks and writes regularly on issues relating to the human rights of refugees and migrants, including legal representation, detention, U.S. asylum law and policy, U.S. global refugee protection and resettlement policies, and protection from xenophobic and bias-motivated violence. She works closely with Human Rights First’s pro bono legal representation team, conducts field research, has authored numerous reports and articles, and has testified before the U.S. Congress. Rich André is the Associate Director of State and Local Initiatives at New American Economy, a bipartisan coalition of business and political leaders working to create sensible immigration policies. Prior to joining NAE, he was the NYCitizenship Program Manager and Cities for Action Coordinator at the New York City Mayor’s Office of Immigrant Affairs. Rich has over 8 years of experience working on immigration issues, including local, state and federal policy, national organizing and advocacy, program design, and service delivery. Yanira Arias, a native of El Salvador and a TPS holder, is the National Campaigns Manager for Alianza Americas. She leads the TPS advocacy, house-to-house outreach, SOMOS / We Are anti-racism programming, and other key campaigns. She also brings more than a decade of experience in the field of public health, with special expertise in community mobilization and participation, community organizing, and capacity building to address health disparities and social justice issues. Yanira graduated from the University of El Salvador in 1996 with a focus on journalism. Yanira is based in the Bay Area of northern California. Ellen Beattie is Senior Director, Program Quality & Innovation with the International Rescue Committee (IRC), where she oversees a portfolio of integration programs for New Americans across 25 US cities, among them economic empowerment, health & wellness and citizenship. Prior to joining the IRC in 2003, she worked in community development with the United Nations Development Program, World Food Program, among others. Ellen holds a B.A. from Rice University, an M.S. in Regional Development Planning from Los Andes University and studied Development Sociology at Justus-Liebig University. 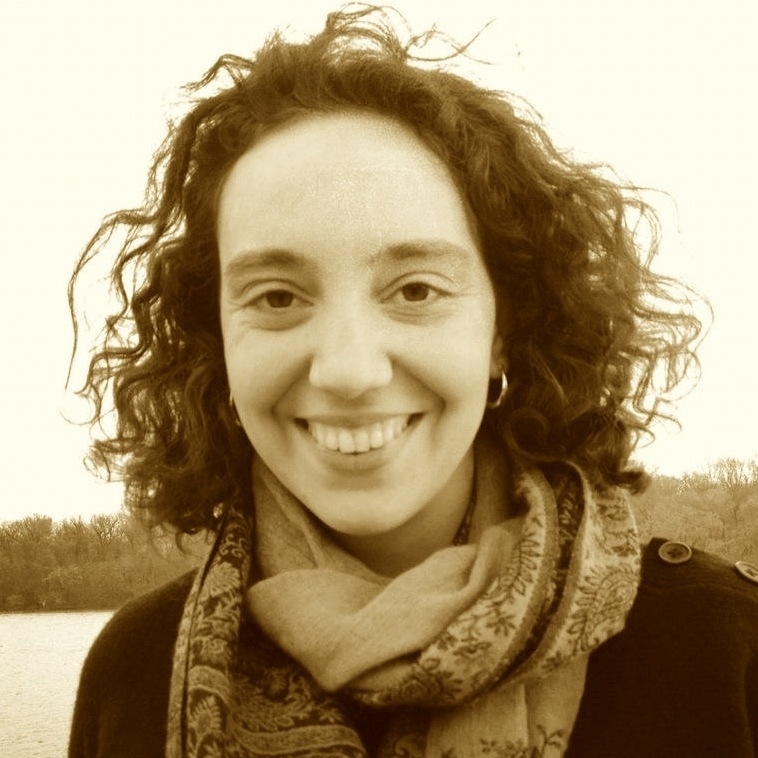 Hamutal Bernstein is a Senior Research Associate in the Income and Benefits Policy Center at the Urban Institute. In this role, she directs Urban's Cross-Center Initiative on Immigrants and Immigration and is a Principal Investigator of the Annual Survey of Refugees for the US Department of Health and Human Services. She previously worked at the German Marshall Fund of the United States, the Institute for the Study of International Migration, and served as a consultant to international organizations on global migration issues. Dr. Bernstein received her BA in International Relations at Brown University and her PhD in Government at Georgetown University. Kate Brick is the Director of State and Local Initiatives at New American Economy, a bipartisan coalition of business and political leaders who support immigration reform. Kate has over 10 years of experience working on immigration issues in the U.S., Mexico/Central America, and Europe through her time at Americas Society/Council of the Americas, Unbound Philanthropy, the Migration Policy Institute, and the Mexico Institute of the Woodrow Wilson Center. Kate holds an MA in International Affairs from Columbia University’s School of International and Public Affairs and a BA in Latin American Studies from The George Washington University. David Cruz is an Independent Contractor doing Translations and Interpretation, Videography. Previously, David was Co-Chair and Secretary of ELATED, UC Santa Cruz’s first Latino organization, focusing on the retention of students and the outreach to underserved communities’ high schools to aim for a higher education. He also interned at the Romero Institue as a researcher on the Lakota’s Peoples Law Project. David is currently focusing on understanding the Tax Code to teach individuals who need help or cannot afford going to a tax professional. David graduated from UC Santa Cruz with BAs in Linguistics and Politics. 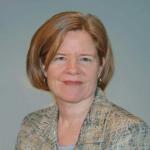 Suzette Brooks Masters is Senior Strategist at Grantmakers Concerned with Immigrants and Refugees (GCIR). From 2007-2016, Ms. Masters served as program director for Migration at the JM Kaplan Fund, a private family foundation. She maintains an active consulting practice, advising corporate, non-profit, philanthropic, and government leaders on how to frame immigration issues, promote immigrant integration and build stronger, more vibrant communities. She has received numerous awards or her philanthropic vision and impact. Ms. Brooks Masters currently serves on the board of the New York Immigration Coalition, Define American and the Berkshire Taconic Community Foundation. She is a graduate of Harvard Law School, Cambridge University and Amherst College. Ben D’Avanzo is the Senior Policy Analyst at the Asian & Pacific Islander American Health Forum. He develops policy positions, leads advocacy projects and provides strategic advice around issues that include health access, public health, and data equity. Ben works with policymakers and organizational partners to ensure the voices of Asian American, Native Hawaiian and Pacific Islander communities are heard in federal healthcare debates. Ben previously worked at Families USA and has a Master’s of Public Administration from George Washington University. Pablo DeFilippi is the SVP of Membership and Network Engagement for the National Federation of Community Development Credit Unions. DeFilippi has more than 20 years of experience in community finance, working with regulated financial institutions both in the domestic and international arena. DeFilippi has implemented, promoted or expanded a number of important initiatives aimed to expand access to affordable, responsible and sustainable solutions to meeting the financial needs of low- and moderate-income consumers. DeFilippi leads the national expansion of Juntos Avanzamos, which seeks to increase access to affordable and responsible financial services for Hispanics and immigrants through credit unions. Allyson Duarte is a Graduate Student, an activist, a DACA recipient and proud resident of the Rio Grande Valley of south Texas. She currently resides in D.C. and is pursuing graduate studies in philosophy and social policy at American University. Her advocacy efforts revolve primarily around immigration in border communities, but she has also partaken on education, LGBTQ+, and environmental issues. Allyson is emphatic about the need to supersede advocacy and organizing modes that find reliance on America's two-party electoral system. Anna Duncan is a community organizer, based in Durham, North Carolina, with over 15 years of experience in labor, immigrant rights and anti-gentrification movements. As Director of Affiliate Engagement with the National Domestic Workers Alliance (NDWA) she supports NDWA's 60+ affiliate organizations around the country with training, capacity building, and participation in national campaigns and events. From 2014 to 2018 she coordinated NDWA's We Belong Together campaign, mobilizing diverse women in support of immigration policies that empower women and keep families together. Sohayla Eldeeb is the Global Outreach Director of Zero Hour, a youth-led movement that has organized a march and lobby day in Washington D.C. and around the world in over 25 locations. Zero Hour’s inter-sectional platform focuses on the true meaning of climate justice: equity, racial justice, and economic justice. A high school senior, Sohayla has also pursued environmental research focusing on oil spills. Sohayla serves as the Florida District Governor of Key Club, the world’s largest high school service and leadership organization. 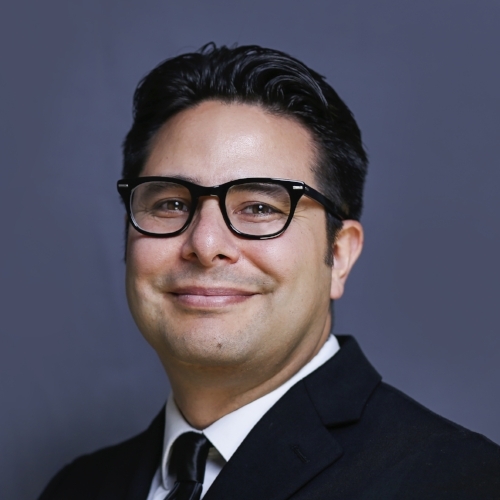 George Escobar, as CASA’s Chief of Programs and Services, oversees CASA’s service programming which includes legal assistance, naturalization support, employment, workforce development, education, case management, and health education initiatives. CASA is the Mid-Atlantic Region’s largest immigrant-serving and advocacy organization. Programs within George’s portfolio are charged with providing services that address disparities and create pathways to success for members while introducing them to CASA’s power building and leadership development initiatives. George has over 15 years of experience working for both the public and non-profit sectors designing and leading a variety of programs targeting the Latino and immigrant community. Marita Etcubañez is the Director of Strategic Initiatives Asian Americans Advancing Justice. 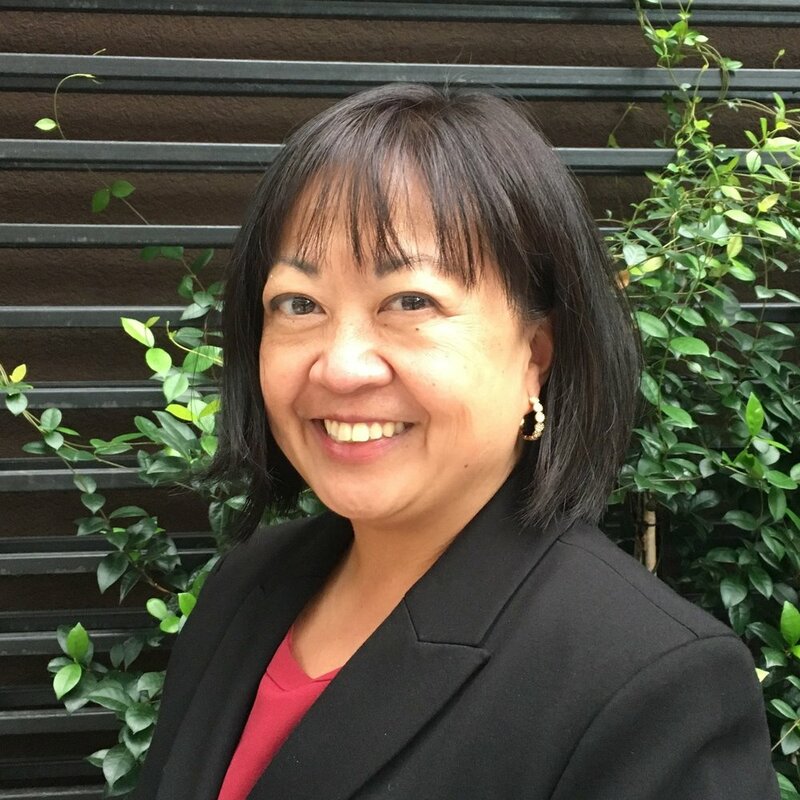 Marita manages varied projects including supporting anti-hate efforts, naturalization assistance in the D.C. metropolitan area, and the production of demographic reports on Asian American and Native Hawaiian and Pacific Islander populations. Marita came to AAJC with more than ten years of experience in legal services. She has worked with the Asian Pacific American Legal Resource Center in Washington, D.C., the Homeless Persons Representation Project in Baltimore, and Texas Rural Legal Aid. Marita received both her undergraduate and law degrees from the University of Michigan. Manuel Flores is a Community School Model Coordinator. He moved to Oakland, California at 7 years old and, after struggling in the education system, dropped out and spent time in juvenile hall. Because of his record, he was never able to receive DACA. While in jail, he reflected on his life and decided to enroll in community college. He graduated after two years, transferred to UCSB for his bachelor’s, received his Masters in Education and is currently in a doctorate program. Deepa Iyer is a Senior Fellow at Race Forward, where she focuses on racial equity and solidarity practices. Iyer is the former executive director of South Asian Americans Leading Together (SAALT) and the author of We Too Sing America, a non-fiction book about post 9/11 America. Iyer hosts a monthly podcast called Solidarity Is This, works closely with Muslim, Arab, and South Asian communities and organizations, and regularly speaks and trains stakeholders on Islamophobia, racial justice, and solidarity frameworks and practices. 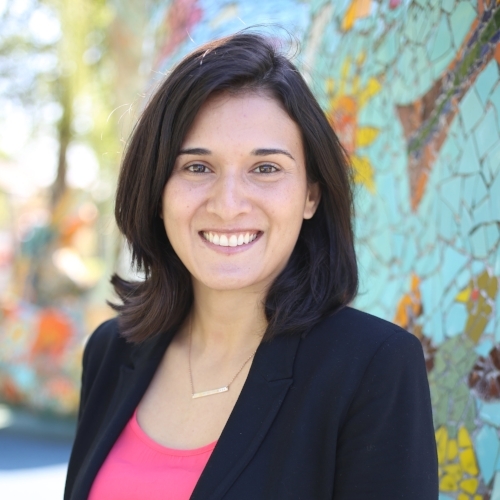 Mayra Joachin is a staff attorney at the National Immigration Law Center and focuses on advancing the rights of low-income immigrants through administrative advocacy, impact litigation, direct work with affected individuals, and technical assistance. Her main areas of work involve immigration enforcement issues, including advocating for policies that protect immigrants' access to health care facilities, work sites, schools, and courthouses. Her passion for immigrants’ rights advocacy stems from her experiences as a Salvadoran immigrant. Ms. Joachin holds a bachelor’s degree from the University of California, Los Angeles, and a juris doctor from Columbia Law School. Jordyne Krumroy is Regional Manager at Welcoming America, where she provides technical expertise to municipalities and nonprofits conducting welcoming work in the southernmost states. She also manages the One Region Initiative, a program that established the nation’s first major metro welcoming region. She has also worked in sustainable transportation, housing, and youth development for grassroots organizations. As a board member for El Refugio, she is committed to advocating alongside those in removal proceedings at Stewart Detention Center. Jordyne holds a B.A. in Sociology and Spanish from Appalachian State University and a Master of Social Work from Georgia State University. 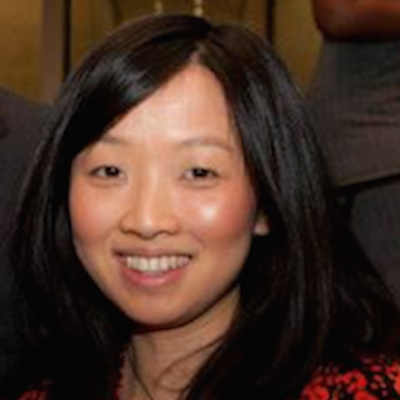 Bonnie Kwon is Director of Network Innovation on APIAHF’s Policy & Network Innovation team. In her role, she deepens advocacy capacity for community-based organizations and individuals to fight for health equity. As an organizer and strategist, Bonnie utilizes storytelling, cultivates leaders and builds relationships to move hearts and minds. Before APIAHF, Bonnie fought for immigrant and workers’ rights and served in the Obama Administration, advising officials on engagement strategies with AA and NHPI communities. Gabrielle Lessard is a Senior Policy Attorney on the Access to Healthcare and Protecting Immigrant Families teams at the National Immigration Law Center (NILC). A public interest lawyer for over 20 years, Gabrielle served as NILC’s first Health Policy Attorney from 2001-2005 and rejoined the organization in 2013. Gabrielle has also been the Legal Director of the Insight Center for Community Economic Development, a lecturer at UC Berkeley Law School and an independent attorney and consultant to tax-exempt organizations. She received a juris doctor degree, with honors, from the University of Wisconsin Law School. 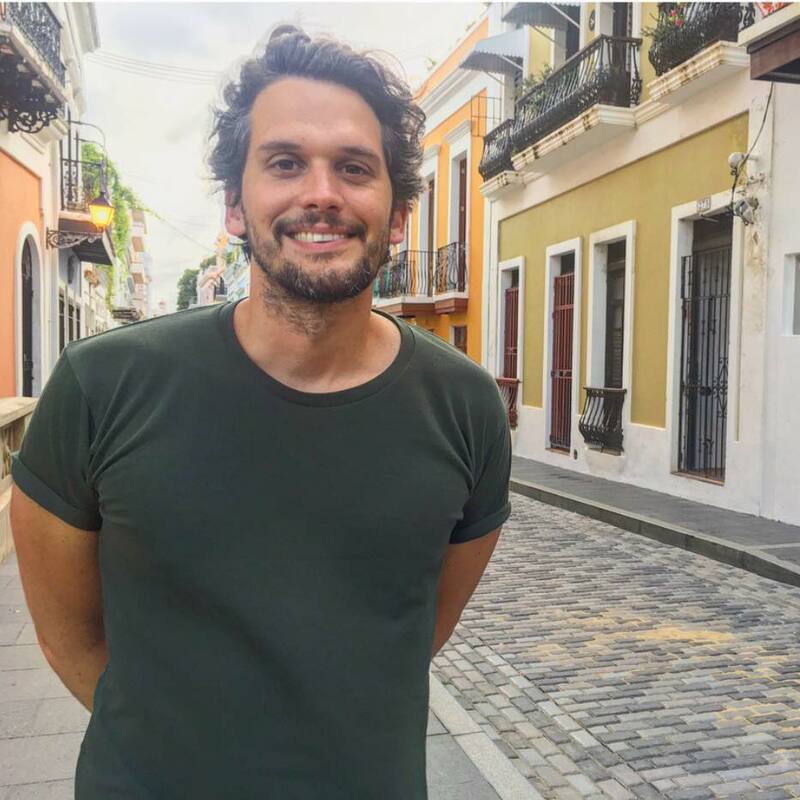 Julio Lopez is the Co-Director of Community Dignity Campaigns at the Center for Popular Democracy, were he supports affiliates in building campaigns around Puerto Rico and immigration. He received his undergraduate degree and Juris Doctor at the University of Puerto Rico; received his LLM on International and Comparative Law at Tulane Law School; and received training in arbitration and conflict resolution at Humboldt University in Berlin. After law school, he served as a law clerk for the Orleans Public Defenders and as a project officer for the New Orleans Independent Police Monitor to create a mediation program between citizens and the police. Carlos Daniel Martinez is the Treasurer of Alianza CUSP Inc., a local network of co-ops that reach out to local cooperatives and provide services such as trainings, workshops and technical assistance. He is also a Co-Chair/Co-Founder of Sunset Scholars LLC, a cooperative that gives the community quality, affordable tutoring. He is an active participant of the Advocacy Council for New York City Network of Worker Cooperatives (NYC NoWC), working to drive their policy/advocacy efforts forward through research, partner engagement, lobbying, political education and campaign development. Margie McHugh is the Director of the Migration Policy Institute’s National Center on Immigrant Integration Policy, a national hub for leaders in government, community affairs, business and academia. 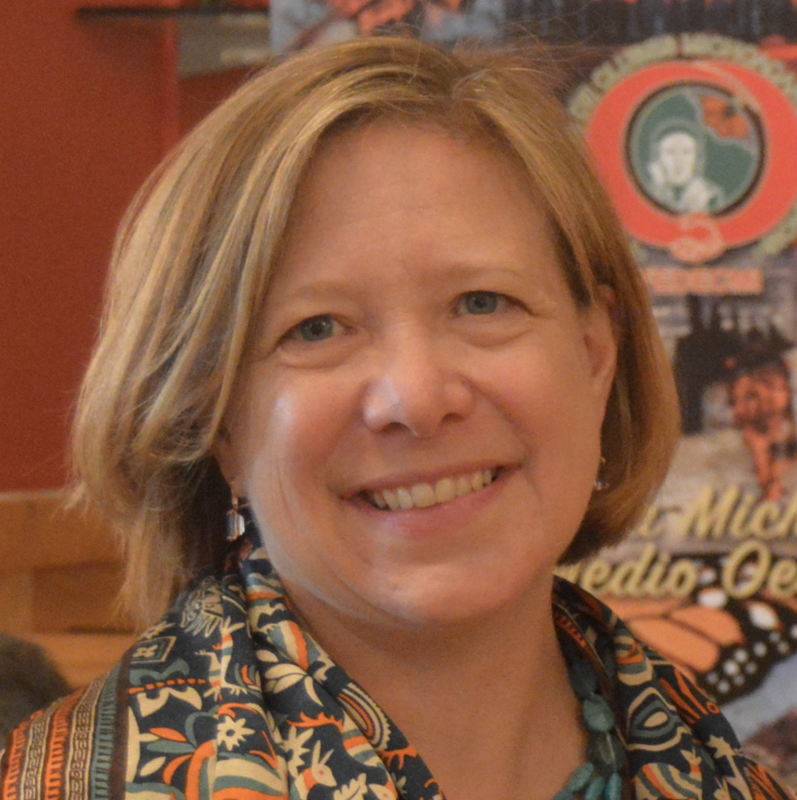 Ms. McHugh’s work focuses on education quality and access issues for immigrants and their children from early childhood through K-12 and adult, postsecondary and workforce skills programs. She also leads the Center’s work seeking a more coordinated federal response to immigrant integration needs and impacts, and more workable systems for recognition of the education and work experience immigrants bring with them to the United States. Ben Monterroso is a social justice leader and advocate who has been championing issues from labor rights to immigration reform for decades. An immigrant himself, Ben began his career in the labor movement in 1979 as a member of SEIU and janitor in Los Angeles, California. He become a key leader in the campaign against California’s Prop. 187, and also co-founded the historic, non-partisan national citizenship campaign “¡Ya Es Hora!”. Ben is currently the Executive Director of Mi Familia Vota, a national civic organization that promotes social and economic justice through citizenship workshops, voter registration, and voter participation. Apolonio (Polo) Morales is proud to serve the immigrant community as the Political Director for the Coalition for Humane Immigrant Rights (CHIRLA). He is a former labor organizer for the California Nurses Association/United Steelworkers' Healthcare Workers Alliance, community organizer for both Contra Costa Interfaith Supporting Community Organization (CCISCO), and former Director of Berkeley Organizing Congregations for Action (BOCA). As the PICO National Network Immigration Lead Organizer for the Campaign for Citizenship, he supported faith-based community organizations across the country. Currently, he coordinates the California Table for Immigration Reform, a collaboration with the Fair Immigration Reform Movement (FIRM). Lisa Sherman Nikolaus is the Policy Director at the Tennessee Immigrant and Refugee Rights Coalition (TIRRC). Prior to joining TIRRC, Lisa was the Advocacy Officer at Watchlist on Children and Armed Conflict, a network of human rights and humanitarian organizations. Lisa was also a researcher based in Senegal on West Africa at Amnesty International, where she was responsible for investigating, advocating, and campaigning to end human rights violations in the region. Lisa holds a Master’s degree in Conflict, Security, and Development from the Department of War Studies at King’s College London. Lisa is a proud Guatemalan-American. Justin Nguyen is the Digital Content Producer for United We Dream. He immigrated to the U.S. at age 14. After working as a waiter to support his family, he found a passion for urban artivism and uplifting other voices through digital organizing. After organizing locally, he began working on the national front to work with different states through United We Dream, with a unified vision that by working together we can change policies and help undocumented immigrant families across the nation. He is also freelances as a visual production artist in his spare time. 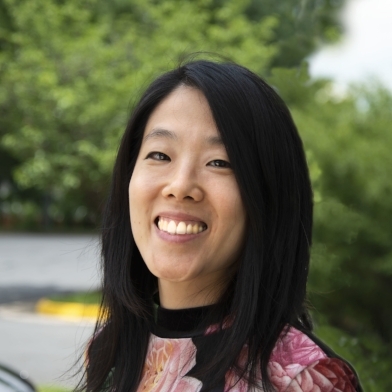 Sookyung Oh leads organizing and campaign work with Asian American communities in Virginia for NAKASEC, where she previously coordinated national immigrant rights campaigns. She has also worked at the American Federation of State, County, and Municipal Employees (AFSCME) as a Public Policy Analyst and The Commonwealth Institute for Fiscal Analysis in Richmond, VA as a State Policy Fellow. She started working in Korean and Asian American communities at the Jaisohn Center and Asian Americans United in Philadelphia. Currently, she is on the board of the Virginia Civic Engagement Table and the Virginia Coalition for Immigrant Rights. She is a 2nd generation Korean American and enjoys comic books and the D.C. blues scene. Maki Park is a Senior Policy Analyst at the Migration Policy Institute’s National Center on Immigrant Integration Policy, where her work focuses on early childhood policies affecting children of immigrants and refugees as well as Dual Language Learners (DLLs) in the United States and internationally. Previously, Ms. Park worked as Director of Outreach and Program Manager at WorldTeach, based at Harvard's Center for International Development, where she oversaw recruiting and admissions operations and managed the organization's program in Guyana. She has also worked as an education consultant in Malawi and served as a Peace Corps Volunteer in Turkmenistan. Stephanie Park is a Community Organizer at the Asian American Legal Defense and Education Fund (AALDEF). Prior to AALDEF, Stephanie was an Immigrant Justice Corps Fellow and provided legal representation for hundreds of Korean American DACA applicants like herself. Stephanie serves on the Board of Directors at United We Dream, the largest immigrant youth-led network in the country. She co-founded the Asian American Dreamer's Collective (AADC), which serves to empower young Asian American immigrants through leadership development and participation in direct actions. Betsy Plum is the Vice President of Policy at the New York Immigration Coalition (NYIC), where she oversees efforts to create public policies that expand basic rights for immigrants and ensure immigrants can build truly thriving and fulfilled lives in New York State. 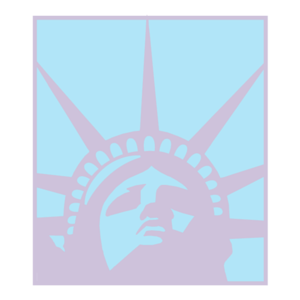 Since joining the NYIC in 2013, Betsy has led several initiatives and campaigns, including the NYIC’s “This is Our New York” campaign. She sits on the board of directors of Central American Legal Assistance and Voices in Action in America, and is a graduate of Bard College and the London School of Economics and Political Science. Eréndira “Ere” Rendón is the Vice President of Immigration Strategy and Advocacy at The Resurrection Project. 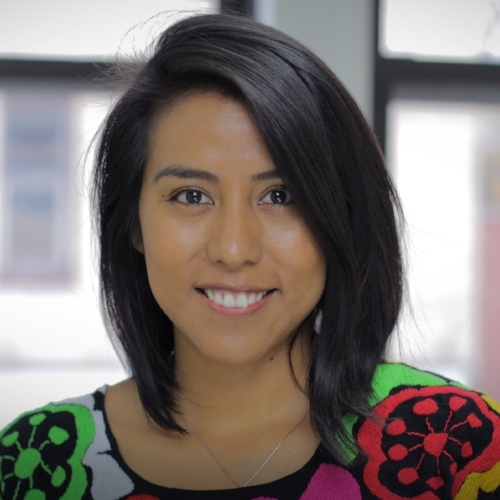 Ere has served as the organization’s lead strategist and manager on local and statewide campaigns impacting the lives of immigrants, playing a leading role in the successful passage of many pro-immigrant legislations in Illinois including Driver’s Licenses for the undocumented and the renewal of Illinois’ All Kids healthcare program. Ere is an undocumented immigrant with DACA protection from Oaxaca, Mexico. She is a graduate of the University of Illinois at Urbana-Champaign and the Civic Leadership Academy at the University of Chicago. Lindsay Schubiner directs Western States Center’s program to counter the dangerous ascension of white nationalism and hate violence across the country. She previously led advocacy efforts against anti-immigrant and anti-Muslim bigotry at the Center for New Community. Lindsay has served as a Congressional staffer handling housing, health, and immigration policy, and managed advocacy for sexual health and rights at American Jewish World Service. She has advocated for driver’s licenses for all DC residents, regardless of immigration status, and to stop deportations. Lindsay holds a Master of Science degree from the Harvard School of Public Health. Amy Shannon currently serves as Alianza Americas’s Senior Advisor, providing strategic and programmatic analysis and guidance. She has worked extensively in philanthropy, both as a consultant and as a program officer in the Environment Programs at both the C.S. Mott Foundation, and the John D. and Catherine T. MacArthur Foundation. She holds an MBA from the Harvard Business School, where she conducted research on rural financial systems, sustainable enterprise, and social marketing. Amy has lived and worked extensively in Latin America, and now resides in Chicago, IL. Rebecca Shi is the executive director of the Illinois Business Immigration Coalition, where she works directly with a steering committee of 79 Illinois-based CEOs, University presidents, chambers of commerce and immigrant advocates to develop and implement strategy that support the passage of federal immigration reform. IBIC has been extraordinarily effective in moving the politics of the state, winning public bipartisan support from the majority of Illinois's Congressional delegation for commonsense immigration reform. IBIC has helped to launch a sister coalition in Florida, IMPAC FUND. Catherine Simpson Bueker is an Associate Professor of Sociology at Emmanuel College in Boston. She has published two books, From Immigrant to Naturalized Citizen and The Experiences of Women of Color in an Elite U.S. School, as well as journal articles, essays, and book chapters on issues of race, ethnicity, immigration, and immigrant political incorporation. Her current research examines how partisanship and political trust influence immigrant political engagement in the U.S. She has been a Visiting Professor at Harvard University, teaching on immigration. She holds a PhD from Brown and a BA from Cornell. Rebecca Telzak is the Director of Health Programs at Make the Road New York (MRNY). Under Becca’s leadership, MRNY’s services have expanded to include health insurance enrollment, food stamp enrollment, community health worker training, food pantries, urban farming and LGBTQ health services. Prior to working at MRNY, Rebecca received a Fulbright scholarship to Argentina and lived in Nicaragua working at a women's sewing cooperative. She helped start a workers’ center in Michigan and worked on issues related to immigrant rights. She has a BA from the University of Michigan-Ann Arbor and a Masters Degree in Public Administration from Baruch College. 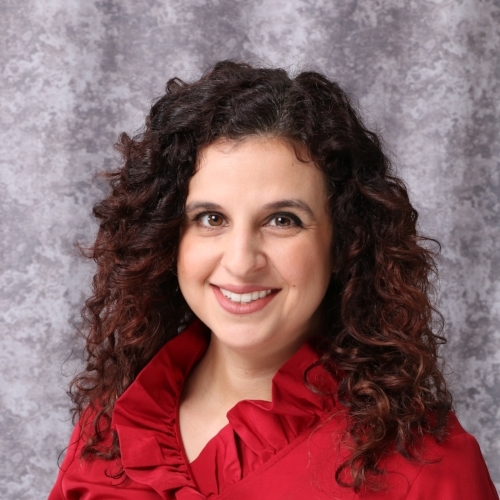 Margalit Tepper is the Integration Projects and Policy Lead at MIRA Coalition, where she works on early childhood, K-12, and adult education policy issues and impacts on immigrant and dual-language learner populations. She has previously worked in refugee resettlement case management, taught ESOL and computer courses, and volunteers with African Bridge Network, a workforce development organization for high-skilled immigrants. Margalit holds a B.S. in Human Development, a certificate in Refugees and Forced Migration from York University Toronto, and an M.S.W. from Boston College, where she wrote and researched for the School of Social Work’s Immigrant Integration Lab. Annie Jen Wang is the Director and Staff Attorney of the Immigrant Justice Project at the Asian American Legal Defense and Education Fund. Previously, she was a legal fellow at The Opportunity Agenda, a nonprofit social justice communication lab. She is a member of the New York City Bar Association’s immigration committee; the Asian American Bar Association of NY’s Pro Bono and Community Service & Immigration Law committees and its Community Response Taskforce; and has been a member of and co-chaired the media & advocacy committee of the American Immigration Lawyers Association’s NYC chapter. Jennifer Wang is the Deputy Director of Programs and in senior leadership at the National Asian Pacific American Women’s Forum (NAPAWF), where she is responsible for guiding, implementing, and evaluating the organization's programmatic and policy strategies. Prior to joining NAPAWF, Jennifer has held senior roles at TICAS and Young Invincibles, and began her career at NARAL Pro-Choice America. She has developed an expertise in a variety of policy areas including reproductive health, higher education and student debt, predatory lending, and workforce development. Jennifer has degrees from UCLA and a J.D. from the University of Iowa College of Law. Richard Whipple is the Deputy Director of the SF Office of Civic Engagement of Immigrant Affairs (OCEIA), where he currently oversees the department’s programs, including immigrant assistance initiatives; workforce and professional development programs; and the immigrant integration community grants portfolio. In his nine years at OCEIA, Rich has helped launch several landmark initiatives including the SF Pathways to Citizenship Initiative and two professional development programs for immigrant and low income residents. Before joining OCEIA, Rich spent five years in public education as a Behavioral Health Specialist. Rich earned his Masters in Public Administration from the University of Southern California. 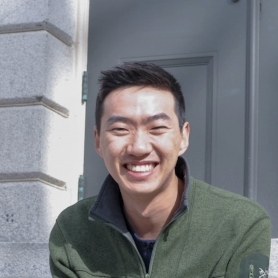 Steve Yoo is the VA Campaigns Coordinator at NAKASEC, The National Korean American Service & Education Consortium. He plans to use his new position to create meaningful and sustainable change within the local, state, and federal level, and also help cultivate an empowering community of love and support. During his time as an undergrad at the University of Michigan, he majored in Economics and Linguistics, and was also a part of a student organization that fought to expand the available resources for undocumented students on campus.